Who let the dogs out? Hopefully you! We’ve made our happy hours a bit more yappy as of late with Canines and Cocktails. Did you miss out earlier in the summer? Don’t fret—we’re back this Wednesday, August 3, with another night on our TAMO Terrace full of whining and dining for you and your pooch! Benefitting the Animal Rescue League of Boston, Canines and Cocktails is a mutt-tastic event for you and your four-legged friend! Chef Richard Rayment will have organic, homemade doggie treats and special “doggie bags” to take home. Plenty of water will be on tap as well. Human guests are invited to relax and grab a drink from our cash bar or purchase raffle tickets for a chance to win such prizes as an overnight stay at Seaport, dinner for two at TAMO, or a rather fetching Muddy Mutts raincoat from Tango in the Seaport District. 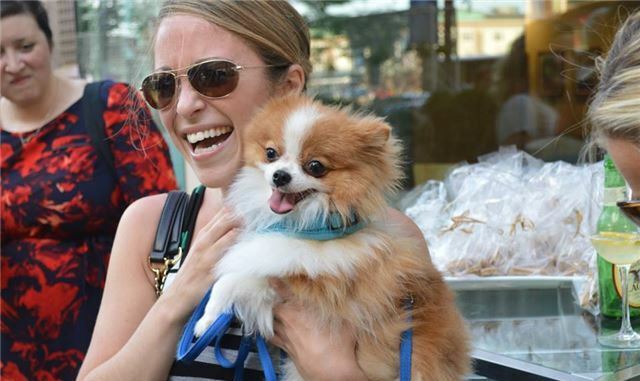 All money raised will benefit the Animal Rescue League of Boston, and donations will be accepted on-site—so don’t be shy to put your paws in your purses to help out! Dogs of all sizes are welcome. We look forward to seeing you—it’s the perfect way to raise the “ruff”!